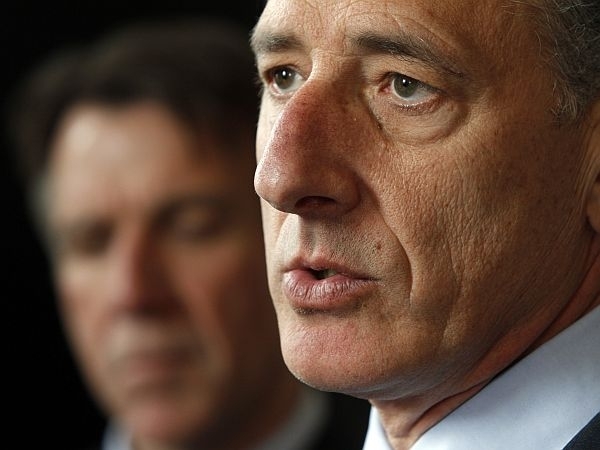 (Host) Legislative leaders and Governor Peter Shumlin have reached agreement on two critical issues facing lawmakers this session. As VPR’s Bob Kinzel reports, the deal addresses the future of the State Office Complex in Waterbury and the size of a new State Hospital. (Kinzel) Late last week, consultants recommended four options for the nearly 1,500 state employees who were displaced by tropical storm Irene. It was clear from the start that one option, known "option B," was the clear favorite. It calls for keeping the historic buildings in the Complex, tearing down many others and constructing a new office building that would be connected to the "historic" structures. The price tag for this option was roughly $134 million. The Governor says the approach was good but simply too expensive. (Shumlin) "We are not going to spend $156 million or $136 million to rebuild our state office complex. Not affordable for Vermonters at a difficult time." (Kinzel) Instead, a scaled back version of Option B calls for 700 Human Service Agency employees, now located in other parts of the state, to join 200 Public Safety workers who have returned to Waterbury. Lt. Governor Phil Scott says reaching agreement at this time could help speed up the construction schedule. (Scott) "Instead of working with all the plans that were coming forth to focus and concentrate on those aspects will have the potential of possibly moving the time frame for construction up from the 3 years to something less." (Kinzel) Waterbury Rep. Rebecca Ellis is also the chair of the town’s select board. (Ellis) "Today’s announcement is a win because it does show that the state is committed to plan B and Waterbury wants plan B. It’s a modified plan B so it’s not everything we were looking for but it means returning to Waterbury so that’s good news for us." (Kinzel) Ellis says the loss of 1,500 state employees has hurt many of Waterbury’s downtown businesses. She’s not sure all of them can survive for another 3 years before the workers return. (Ellis) "We hope that the businesses stay. It’s going to really depend on each business profile. I think for some of the really small businesses – the 1 or 2 employees in a business – it’s going to be hard for them to downsize. There’s not much downsizing they can do." 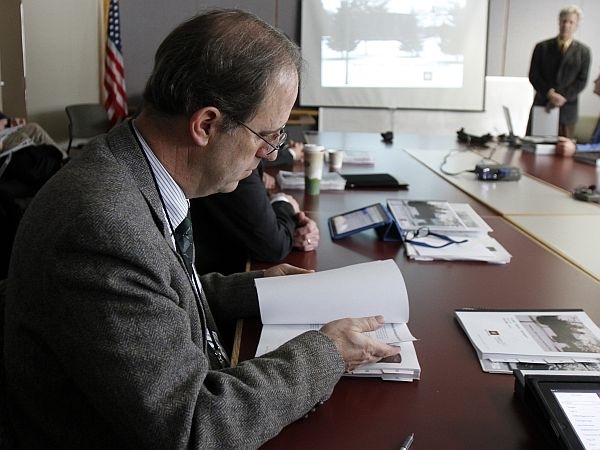 (Kinzel) The agreement also paves the way to build a 25 bed State Hospital in central Vermont. The Governor says the plan can be cut back to 16 beds if federal officials don’t support the larger facility in the future. (Shumlin) "That gave me enough comfort to go forward building 25 beds which we believe we’re going to get a 90-10 match from FEMA for to move forward with that construction." (Kinzel) The Governor says he’s also optimistic that roughly 300 employees in the Agency of Natural Resources can be relocated to space at National Life in Montpelier by the end of the year.